Ok, so by now we should have all realized that my hamsters are numbered three (and the number shall be three, not two, not four), and therefore they do not run in conjunction with eachother, but typically in opposition. This is the only way I can explain the blog post that follows. If you have not realized this, you have not properly read my blog, and I therefore assign you homework. Go back, then it will be clear. It’s awesome. Go read it, and then come back please. Now, I don’t have kids, but I do have two fairy god-daughters (and they really think I am a fairy god-mother, it’s awesome–my oldest of the two, even at 12 years old, still stoutly persists in the belief that I really am a fairy godmother), two other non-fairy god-children (one of whom is named after me, bless her cotton socks), and a niece and nephew that I adore, and a bunch of “my” children that actually belong to my dearest friends but I would steal in a heartbeat because they are so great. So, with all of that likely un-necessary back-story, hopefully you get why I get this Mommy Rant and applaud it. I WISH when I was a kid that someone had written this letter to me. Well done, rantsfrommommyland! But it got me thinking, since I didn’t have a letter like this when I was a kid, what did I have? Well, I had a mother who, although significantly unwell, introduced me to worlds of language and people and tolerance and music that most other “traditional” mothers likely never would have…and as a result, my cultural reference is significantly rich. It did leave me a bit linguistically confused when I’m fatigued, though – as I tend to short-circuit and speak in multiple languages in a single sentence, but hey, #firstworldproblems, right? 1. The only time you can’t do something is because you’ve convinced yourself that you can’t. You can try anything at anytime. PRICELESS. These contributions to my development were priceless, no matter how they came about. And I’ve shared my dad’s pearls of wisdom with more employees and protegés than I can even begin to enumerate. Regardless of the nuggets of wisdom that my individual parents gave or allowed me (and there is a difference), there was a point in my 20s where I realized I still had the overwelming feeling that Ms. Miner mentions — of feeling that someday, someone who had the instruction manual that I was convinced was out there but that I never received, someone better in the know than I, would figure out that I HAD NO CLUE. So, loving synchronicity — because it was pretty much at the exact same moment that I was given a copy of the Tao of Pooh–I had several epiphanies simultaneously. Now, honestly, this should have caused an immediate aneurism, however, having long since been a fan of the wisdom of A.A. Milne, (since way back in my single digits), this hit me right smack between the eyes like a fire truck going Mach 10. So I take Ms. Miner’s opening gambit, and, rather than challenge it, would like to add my personal two cents of relevance, thanks to the efforts of Benjamin Hoff (http://www.benjaminhoffauthor.com/). Quick disclaimer – Mr. Hoff, I make no gain financially from using your properly cited quotes, and therefore hope not to tread on your copyright, but should you find this an issue, please feel free to contact me ASAP, as no offence, intrusion or otherwise bad form is intended. Yup. Absolutely. Later I also learned from the wisdom of Bill, “Do you want to be right, or do you want to be happy.” To me, both of these ideas go hand in hand. One, if you are willing to HONESTLY look at where you are and what you have, and I’m not talking about things here, that should be enough. If it’s not, think about Bill’s idea – are you having the argument because you just think you NEED to be right? Is it really that important? Sometimes it is, sure, but most times, compromise and empathy is the key to happiness. Can’t like or agree or stand up and shout “YES” enough to this. Perhaps because of my non-traditional upbringing, my constantly seeking cues for how to actually relate and be present as a two-legged, perhaps…who knows…but the best lessons I have learned in life have honestly come from my fascination with animals. Dogs and cats traditionally dislike eachother, for example, and apparently for good reason, if you ask a cat, but an orphaned puppy will still be taken care of by a mommy cat. Because it’s right. You can try and convince me that animals are a lower life form, but honestly, we’re just jealous as two-leggeds, because we think it should be more complicated. The critters have it right. Abso-freaking-lutely. Talk to my hamsters. They know. I like to think of this as the “River Equation.” So here’s how it goes. In my hamster-driven head, there are always two options. Door #2. Paddle furiously in the direction you think you are supposed to go, which is invariably upstream, until you become so tired that you have to go with the current (flow) ANYWAY. In the end, you rock up right where you would have been to begin with, but now you’re covered in bruises, you need therapy, and it took you an interminably long time to get there. I know, because I consistently try both ways, and when I succesfully go with Door Number One I am infinitely happier, and feel marginally more wise. Add to this only: the things we most dislike in others is usually a reflection of what we, ourselves, manifest….and greatly dislike about ourselves. How do ya like them apples? Mmhmm. The day we think we know it all we know the least. ‘Nuff said. Religous or not, it doesn’t really matter. If you don’t listen to your own inner voice you will always regret it. However, I do have a caveat on this…remember the voice of FEAR (False Evidence Appearing Real) is always louder than the voice of truth. ALWAYS. Trust me, I’ve tried to disprove this many times. Yep – if you don’t have a clear idea of what to do then WAIT. When it’s clear it will make sense. Gut sense. Heart sense. Honestly, you’ll feel it. Otherwise you’re just deciding to do something to make a decision for the sake of making a decision and not necessarily think. Which is a sorry waste of time and energy. And the middle…if you’re not willing to take the leap, follow your heart, and trust….well….why do anything? Life is not linear. Not even evolution is linear. GO WITH THE FLOW…. Truer words were never said. Give me a team of people willing to admit “I DO NOT KNOW” and I can achieve anything. Give me a team of people who must say “I KNOW EVERYTHING” and we are all doomed. The only stupid question is the one you don’t ask. Same as the idea that the grass is always greener on the other side….or why some think it is important to “Keep up with the Joneses” (whoever they are). If you’re always looking out, and never looking in, then you have no idea where you are and what you really have. “The Christmas presents once opened are Not So Much Fun as they were while we were in the process of examining, lifting, shaking, thinking about, and opening them. Three hundred sixty-five days later, we try again and find that the same thing has happened. Each time the goal is reached, it becomes Not So Much Fun, and we’re off to reach the next one, then the next one, then the next. Follow your heart, don’t do something just because you think someone else thinks you should do it. Unless you really aspire to a life of feeling empty and taken for granted. If you don’t stop and look around once in a while, you might miss it. Go read the Desiderata. Take it to heart and run with it. My mother was a scholar, a brilliant one, and she frequently had no idea what she really had around her that was worth celebrating. It’s a very sad way to live, and while she showed me many opportunities she could never take them herself. For that I will always regret that because I was her daughter she could not likewise receive the gift that she did not know she gave to me. Picture me standing up and applauding and doing that super annoying, ear-piercing two-finger whistle (not that I can actually do it, but if you can picture it, that’s what I’m doing). That’s me, right now. “When we learn to work with our own Inner Nature, and with the natural laws operating around us, we reach the level of Wu Wei. Then we work with the natural order of things and operate on the principle of minimal effort. Since the natural world follows that principle, it does not make mistakes. Mistakes are made–or imagined–by man, the creature with the overloaded Brain who separates himself from the supporting network of natural laws by interfering and trying too hard. When you work with Wu Wei, you put the round peg in the round hole and the square peg in the square hole. No stress, no struggle. Egotistical Desire tries to force the round peg into the square hole and the square peg into the round hole. Cleverness tries to devise craftier ways of making pegs fit where they don’t belong. Knowledge tries to figure out why round pegs fit into round holes, but not square holes. Wu Wei doesn’t try. It doesn’t think about it. It just does it. And when it does, it doesn’t appear to do much of anything. But Things Get Done. When you work with Wu Wei, you have no real accidents. Things may get a little Odd at times, but they work out. You don’t have to try very hard to make them work out; you just let them. […] If you’re in tune with The Way Things Work, then they work the way they need to, no matter what you may think about it at the time. Later on you can look back and say, “Oh, now I understand. That had to happen so that those could happen, and those had to happen in order for this to happen…” Then you realize that even if you’d tried to make it all turn out perfectly, you couldn’t have done better, and if you’d really tried, you would have made a mess of the whole thing. My entire life is composed of doing the best I can with what I have at the time, and later, realizing, that as long as I could stay out of my own way it eventually made sense. Someone wise once told me a story of how they had spent their whole life trying to get all their ducks in a row only to finally be told that those ducks weren’t their’s. Whether it’s a Mallard in the local fish pond, or a rubber duckie in your bathtub, or your kids, or your dry cleaner, really, the only duck that’s really yours is YOU. The other ducks will either get in line with you or not, but it’s not up to you (sorry ’bout that, welcome to life). Generally, going through life with the mantra “it’s not my duck” is NOT actually about denying your responsibility, but accepting ownership for what is. Wisdom is not to be underrated. We think we have wisdom when really we still have so much left to learn. The day we die is the day we believe we know everything. At this rate I am far from dying, and excited by what I have left to learn. So, bottom line? 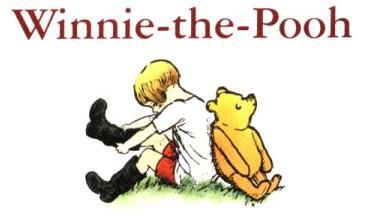 Go back to the basics, embrace Pooh, joy, awe and splendor. If it feels like it’s too hard, you probably created the problem yourself. If someone really annoys you, pay closer attention, there are big lessons there. You may not like them, but they are there all the same. And finally, thank you Ms. Miner, for inspiring this rant of mine.